Our Interior Designer company work on both commercial and residential projects and follow a systematic series of steps in order to prepare the final perfect interior design project. Our interior design company specialise in Commercial and Residential interior design. We specialise in unique restaurant, bar, cafe and office interior design but also contemporary and traditional elegant and light residential interiors. We mainly work in Cambridge and surrounding towns and villages. From concept to completion we provide the chosen interior design approach and brief tailored to your specific lifestyle and vision. 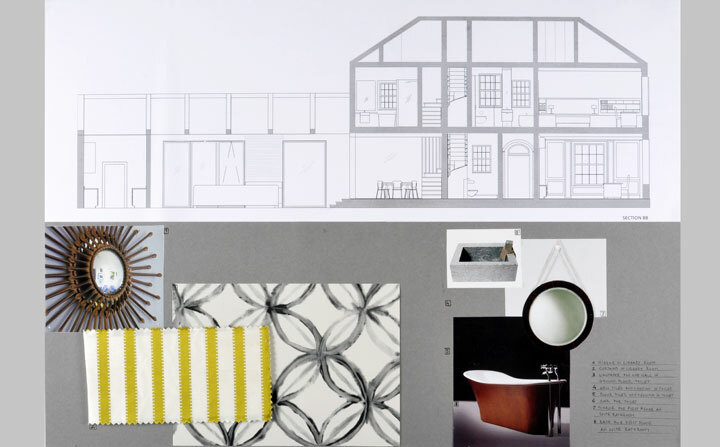 Following site surveys we develop a full set of architectural design drawings, preparing inspiration (mood boards) and sample boards, technical drawings and 3D visuals to understand better new space. Full project management is available, where we transform your dreams and vision into reality. Our Interior Designers use only trusted contractors and tradesman. We work with the best interior designers suppliers in the industry to provide quality, bespoke Interior Design services: Designer Guild, Zimmer Rohde, Elitis, Missoni Home, Altfield, Timorous Beasties, Farrow&Ball, Porta Romana, Oka, West Elm, Go Modern, Living Space, Made in Design, MandarinStone, Bolon and others.